A Boholano's idea of a well-prepared feast-meal. 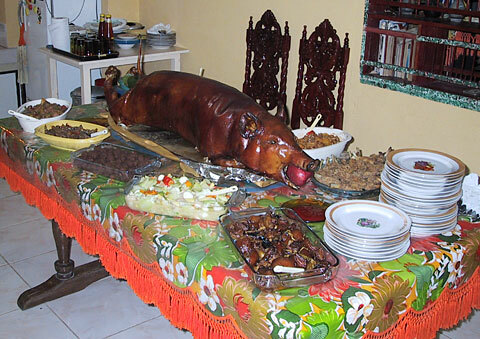 A party can't be complete without the roasted whole pig (Lechon baboy)and the obligatory apple in the mouth. Based on the rating of 99 users.